We supply a range of PTC and NTC thermistor sensors for use with our digital thermostats. 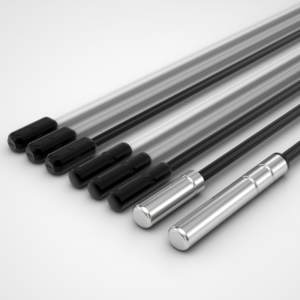 Our standard range is designed for temperatures ranging between -100C to +500C and are available with a choice of materials and tube diameters. Custom PTC and NTC sensors can be designed for specific applications.